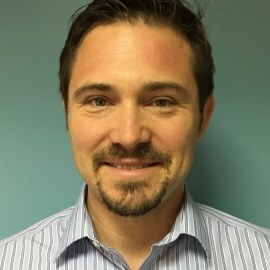 Michael Redlener is an Assistant Professor of Emergency Medicine and Medical Director for EMS and Disaster Preparedness at Mount Sinai St. Luke’s and Mount Sinai West Hospitals and Board-Certified in Emergency Medicine and EMS Medicine. Dr. Redlener received his medical degree from Albert Einstein College of Medicine in the Bronx, NY. He completed residency in Emergency Medicine at New York University/Bellevue Hospital followed by a fellowship in Pre-hospital and Emergency Medical Services (EMS) Medicine with the New York City Fire Department. He completed the  Greater New York Hospital Association and United Hospital Fund Clinical Quality Fellowship Program. With an interest in Systems of Care and EMS Quality Improvement, he sits on several regional and national committees including the New York City Mission Lifeline Executive Committee, the Regional Emergency Medical Advisory Committee Quality Improvement and Quality Assurance (Chair), the National Association of EMS Physicians Quality and Safety Committee (Chair).